Jeníkov Stud Farm was established in 1992. We bought herd of 35 foundation Noric mares. At the same time we bought 2 Shagya-Arab mares from the breed of the National Stud in Topolčianky. This was the foundation of the breading of Noric and Shagya Arab horses. In later years we imported two studhorses, namely 3225 Koheilan III-9/Koheilan I-CZ/ from Slovakia and 657 Tango-Vulkán from Austria, especially to develop blood baseline of our mares. Our breeds of Noric and Shagya Arab horses are currently two of the largest ones in the Czech Republic. The Stud Farm manages about 160 hectares of farm land, which is mainly being used as the fodder baseline. All our horses are constantly on pasture lands during the entire pasture season. This is very important for their stamina, strong disposition and a very good health and character. Jeníkov stud farm has been one of the founding members of the Association of Shagya Arab breeders in the Czech Republic. The Association has been delegated by the Czech Ministry of Agriculture to keep the stood book and has been a guarantee of the quality level of this breed. 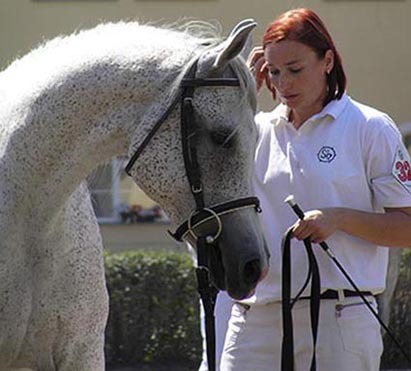 The Association has been part of the ISG – International Association, which has been covering this breed in Europe. 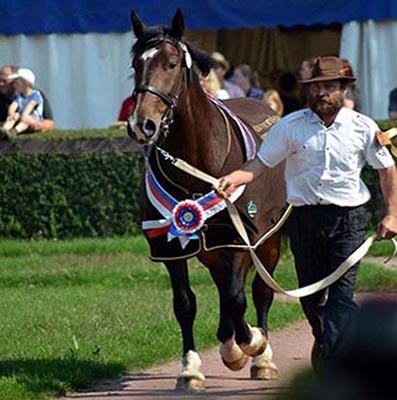 Since 1993 The Association has been organizing every year a National Parade of bred horses. Adjudicators are international officials of the mentioned association – ISG. Jeníkov stud farm has been presenting its horses at these breeding parades. Jeníkov stud farm participated on the establishment of the Association of cold blooded horses in 1995 in Slatiňany. Breeding public decided that breed of cold blooded horses will continue as three independent breeds: Noric (N), Silesian Noric (SN) and Bohemian-Moravian Belgic (ČMB). Currently the breeders of these breeds are associated under the “Association of breeders of Noric, Silesian Noric and Bohemian-Moravian Belgic in the Czech Republic”. Jeníkov stud farm had decided during its foundation to breed Noric horses. Currently with our basic herd of 20 mares we are the largest breeder of Norics in the Czech Republic. 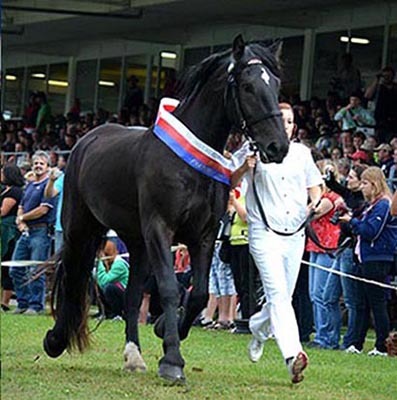 Jeníkov stud farm regularly participates at National Championship of 3 years old Noric mares, which takes part at the Exhibition and Parade “Horses in action” in Pardubice. This breed owes its name to the former Roman province Noricum which once spread on today’s Alpine region. The Noric horse was used in the highland agriculture, forestry and for transport in the hardly accessible terrain. The main breeding intention of Noric is well muscled cold blooded horse maturing at the age of 3, middle size up to big rectangular frame. Head is heavier, muscular with expressive eye, neck is middle high placed with slightly expressive withers, shoulder blade well angled, spacious middle deep, longer oval chest with medium length looser topline, medium length strong fixed shoulders, powerful, middle width and length, slightly crack back. Fundament strong, dry with lower occurrence of rouses. Hooves flexible, hard, well formed. Noric’s joints are less significant with hint of fetlock short and strong. Noric is hardworking horse, easy to handle, with an adequate temper, good character, well to be fed, movable with moderate spacious movement. The minimal desired body measurements for entry in the Stud book are 155 cm withers height for mares, 156 cm withers height for stallions. Noric’s lower weight and higher temper ensure bigger activity and make this breed the most suitable for work in rough hilly environment where he can offer maximum performance. He is resistant to unfavorable weather, hard in constitution, with good character and willingness to work. This breed can be used to work in the forest as well as in agriculture, can be great riding and driving horse, or even used for hipo-rehabilitation. 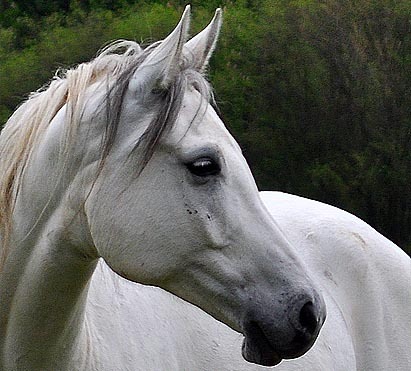 Shagya arab is an original tribe of Arabian horse, which has been recognized as special full blooded breed since 1987. Before he was known as full bloded Arabian horse or as an Oriental thoroughbred. Systematic breeding has began deeply in the past, as this pedigree breed is only 23 years younger than English thoroughbred. Arabian horses were bred especially in Austro-Hungarian breeding studs Bábolná and Radovec. There was one tribe of bred Arabian horses, which has exceeded the others, and it was Shagya tribe. This line was established by Arabian stallion Shagya, born in 1830 in Syria, who was bought for Babolna stud farm from Bedouins. 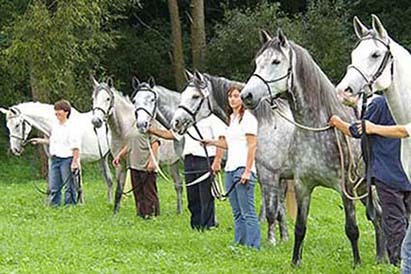 Currently are the breeders of Shagya Arab horses associated in the Czech Republic by the Association of Shagya Arabs. 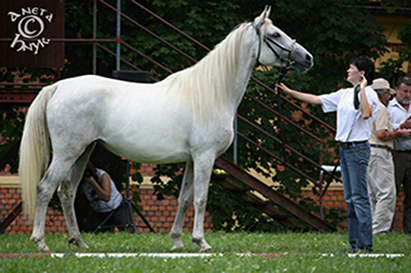 The breeding of Shagya Arab in the Czech Republic has been based on 21 families and is being influenced by 11 lines of stallions. Shagya Arab in the blood line in 4th generation from 16 ancestors must not have more than 9 Arabian thoroughbreds (others must point to appropriate families). Shagya Arab breed should noticeably differ from Arabian thoroughbred by its size, type and framework. Shagya should be beautiful but must have bigger frame, balanced look of nobility with well-formed neck and clearly defined topline, long croup and well carried tail. Angular limbs should be dry in joints. High importance has been put on spacious, elastic and correct mechanics of movement in step, trot and canter. This breed has been characterized by roughness, stability and endurance. It is all-purpose genealogy breed. Mares can enter the stood book with minimal withers height 152 cm and shin circumference 18,5 cm; stallions withers height from 154 cm and shin circumference 20 cm. Currently the Shagya Arab is being used in all equestrian disciplines, but mostly in endurance.